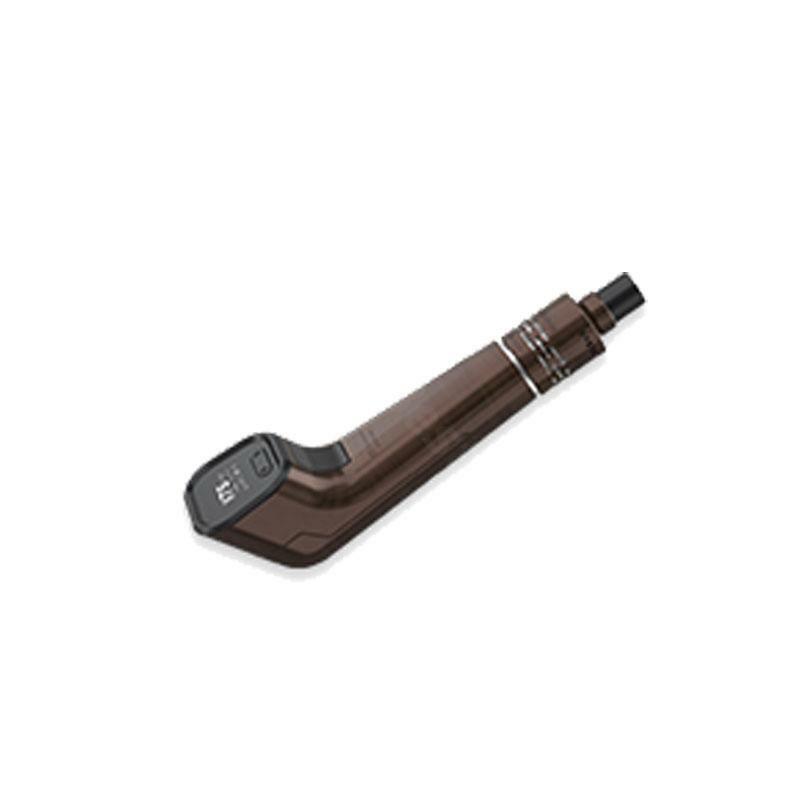 Joyetech Elitar Pipe Kit can be divided to the pipe MOD and subohm tank. The tank utilizes anti-leak cup design as Cubis tank. Powered by single high amp 18650 cell, it fires up to 75 watts. The Joyetech Elitar Pipe Kit can be divided to the 75W Elitar Pipe MOD and 2ml Elitar subohm tank. The tank utilizes the same anti-leak cup design as the Cubis and it features TFTA technology for improved airflow and convenience which interpreted as top filling and top airflow. It supports the popular Cubis heads, such as the BF SS316L, BF Clapton, BF Ni200 and BF NotchCoil which can be selected on your personal vaping preferences. Powered by single high amp 18650 cell, it fires up to 75 watts and supports Ni, Ti, and SS316 coils in temperature control mode. Elitar Pipe has a super large 0.66-inch OLED Screen with all parameters displayed, which provides user-friendly operation display, that is simple and clear to read, operate and vape. Adopted e-pipe technology, classic and elegant design in appearance, it brings you back to the old days. Fearuring multitudes of safety protections, and firmware upgrades, Elitar have TC/VW/BYPASS/TCR modes. It allows you to enjoy the best vaping experience ever. • No liquids and 18650 battery. • Compatible with Joyetech BF Coil and LVC Clapton MTL Coil. It's still early to give a review of the Joyetech Elitar, but so far so good. Really happy about finding EV. I’ve used other sites before, but EV is easily one of the best. Will continue ordering from them. Very cool pipe kit with well made qulity from Joyetech. This elitar pipe looks very elegant. It came with replacement coils. Top filling is very convenient. I love it. I'm not a high watt person, 75w suits me well. Most of the time i vape around 40w. Temp control works fine on this Elitar pipe. And very cool looking. No complaints.